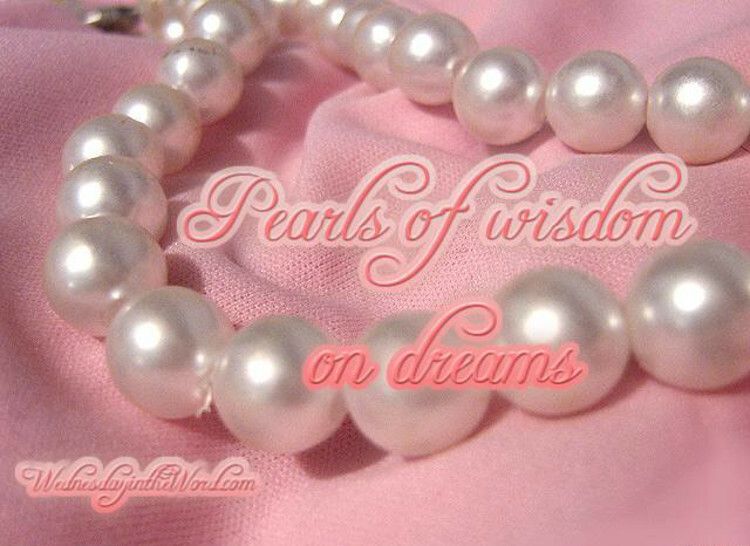 About this series: Many years ago, we asked the matriarchs in our church to share “pearls of wisdom” they learned over the course of their walk with the Lord. We collected their stories in a booklet which we distributed through women’s ministries. My copy of the booklet is now tattered and faded, and many of the women quoted are home with the Lord. To honor their wisdom and keep their words alive, I am sharing their pearls here before my booklet turns to dust or gets lost in the clutter of daily life. I hope these words inspire you to share a cup of tea with an older woman in your church and listen to her pearls of wisdom. Dreams! We all have them, especially when we are young. We think everything will be perfect when… (you fill in the blank). It may be when you get into the college of your choice, land a great job, meet the man of your dreams, have a family, have lots of money, and are able to travel the world. I had many of these dreams when I was young. Some were realized, and some were not. When I had to leave home to live at Riverdale Assisted Living Residence in 1976, it was a shock and I was sad and discouraged. My chronic multiple sclerosis had progressed over 15 years and now I needed more care than my family could handle. My Christian friends told me that I would have a wonderful opportunity to minister to the elderly residents at Riverdale. I was 47 at that time, the others 80 to 100. I tried to share the gospel, but never felt that I really had a ministry. Others who came from local churches were doing much better, I thought. I am now 73 and have, by the grace of God, lived here for 25 years. Some years ago, I began to paint landscapes and various subjects in water media, using a brush fastened to a mouthstick. Now the Lord has shown me a ministry in which I can be involved. Vitaly Voinov was a UVa student who was one of the volunteer drivers who took me to church on the JAUNT van in my motorized wheelchair. We became good friends, and when Vitaly went to Tuva in Siberia, Russia, I saw an opportunity to help with his important work of translating the Bible into the native language of the nomadic Tuvins. Be open to the Lord’s leading; you never know how He may use you to sow a seed. I was a nurse and still enjoy volunteering as a friendly visitor at UVa hospital. I was visiting a woman who had been in a car accident when she got the results of her x-rays; they showed her back was only sprained, not broken. I spoke up, “Praise the Lord!” The woman responded, “Don’t say that to me. I don’t believe in God. I don’t ever want to see you again!” So I avoided her. But one day I was asked to pick up a prescription for this woman. I did, and she was grateful. That gesture opened the door to share with her. We discovered we shared a love of cats, and she later invited me to dinner. That open door was the beginning of more opportunities to share the love of Christ with her. I used to think I could only pray during a quiet time, when nothing else would interfere. But those times in our busy lives are all too few. I have come to realize that the Lord hears my prayers at any time or wherever I may be– behind the wheel, cleaning closets or hiking in the mountains. Now, I find myself continually going to God in prayer, no matter what I am doing or how busy I may be. My prayers, like pearls strung together on a necklace, go out in praise and thanksgiving, as well as for the needs and concerns of my family and dear friends, those who are hurting, those who are serving the Lord everywhere, and even for myself. I’m one of those rare ones: a Charlottesville native. I grew up during the Great Depression in a family with six children. Thankfully, my father always had a job, but we had many health problems resulting in heavy expenses. We lived outside town, in what was part of Albemarle County at the time; now it’s on JPA, and if you can imagine, we had cows there. I rode the trolley to Venable School and later, the old Lane High School which has since been demolished. .
As a child I was so shy I’d blush when my name was called for attendance check. At 21, I had a strong “must do” urge to do my part in taking care of the war time casualties. I wanted to join the WAVES (hospital corps), and believe me, God had something to do with it. When I told my mother, she said, “If I were your age, I would want to help, too, but what about your father? He won’t want you to go.” We had a plan. I’d go to Richmond, join, and surprise him with the news. When I told him, he was very supportive, though not at all happy about it. Other than Richmond and Lynchburg, I had been out of Charlottesville twice– to New York and Virginia Beach, and I looked to be 16 years old, but I now know it was the Lord who helped me get on the train, where I knew no one, and go to training camp in New York City. After Boot Camp, Hospital Corps Training in Bethesda, Md., and a 10 day leave at home, I left Charlottesville alone for Chicago where I met the other girls headed to Oregon. I didn’t know I had to change trains, so later, when everyone else on the train got up to leave, I decided I had better follow them. Again the Lord had His hand on my shoulder. I could have ended up I don’t know where, but He directed me to the right train and I met the other girls to board the train for Astoria, Oregon. 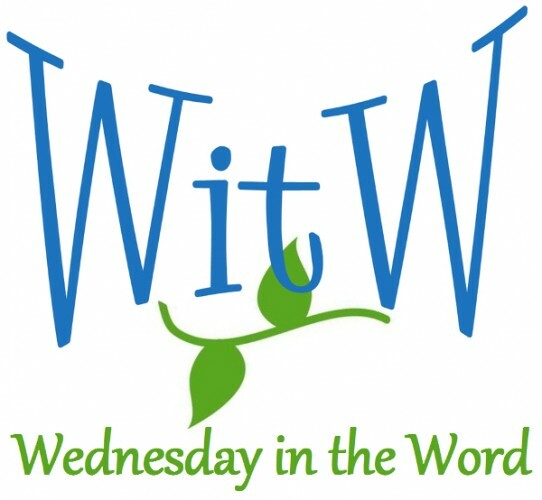 In 1975, I came to Christ during a Lay Witness Weekend held in a small Methodist church in Maryland. My life turned upside down and He’s been with me constantly. One example stands out. When our second child was born, I and was taking cortisone. It was a new drug and long-term effects were not known. Right after the baby was born, I got very ill with a bug, and lost my milk. That was the Lord’s provision, because if I had nursed the baby with the cortisone in my system, the baby would have gotten all those drugs and we now know it causes serious calcium loss. As a young wife and mother of two little ones, I remember standing in my living room surveying the sparse furnishings in our newly built home and wishing for “things” such as a real dining table to replace the rickety card table, some draperies to cover a large picture window, and some carpeting for the bare floors. I had just come home from a church service, and as I stood there overwhelmed with the need for “things,” the verse suddenly popped into my mind: “But seek ye first the kingdom of God and His righteousness, and all these ‘things’ shall be added unto you.” As I took the Lord at His word, the weight was lifted and the pressure was gone.